I'm trying to uninstall my old Nvidia GeForce GTX 680 GPU and install my newest Asus Nvidia GeForce GTX 1060 (6GB) GPU. ■ Used the DDU Tool to uninstall any of my old Nvidia drivers and GeForce Experience app. ■ Shutdown my PC and physically removed my old GPU and installed my newest. ■ Plugged in the 6 pin power cable and Display Port cable from my monitor into the GPU slot (rather than motherboard). ■ Powered on my PC. Installed the latest drivers for my new GPU directly from the Nvidia website. ■ Restarted my PC as prompted. Next, I have 'Uninstalled' and 'Disabled' this GPU from the device manager and re-downloaded the drivers from Nvidia's website. No joy. Nor does installing the new GPU into other mobo slots work either. I have installed my new GPU into another PC of mine using the process outlined above. That installed fine and worked perfectly. So, no hardware issue with the new GPU. Using Driver Booster, every of my drivers are up to date and so is my Windows update. I will also note that powering on my system usually takes like 15 seconds from me pressing the power button to getting my desktop up. But with the new GPU in, it takes about 3 minutes until I see the desktop. The ASUS GPU Tweak II software that's the 'utility' program for this GPU also gives me this error when I've installed and try to run the program: Load vender.DII Fail. Please install VGA driver. Which suggests that the GPU driver isn't installed when it is? Also, going into the GeForce Experience app, it constantly gives me the option to install the latest drivers, which I've tried numerous times and done a clean install on each. Might also be worth noting that I can only see my desktop if I use a display port cable. Using a HDMI cable doesn't allow me to see the desktop on my monitor. I've literally been through every thread on here about this issue and tried them all but still no success. Does anyone else here have any suggestions please? My only remaining idea is that the new GPU is incompatible with my motherboard? My only remaining idea is that the new GPU is incompatible with my motherboard? That could indeed be a cause. 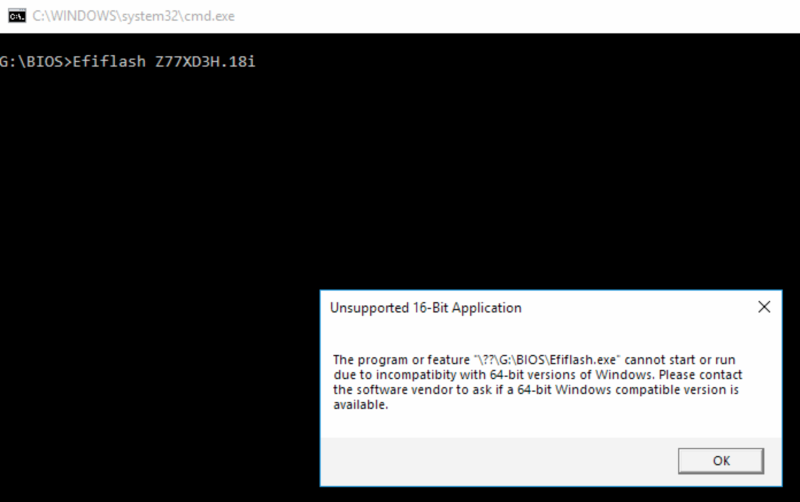 F14 version of BIOS has following info: "Improve VGA compatibility", so if your BIOS version is older then updating it would be worth the shot. 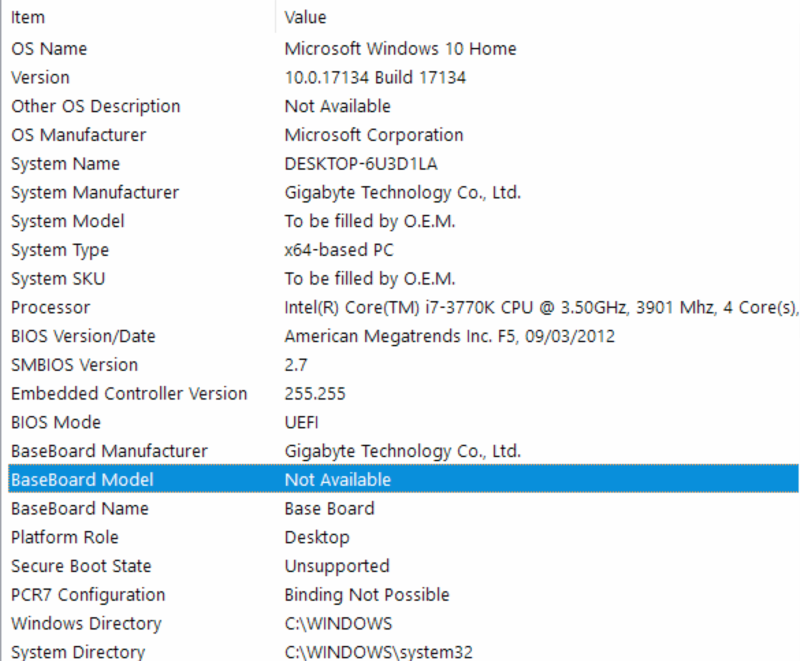 Going to my mobos support page here, there is no BIOS support for Windows 10? First thing is, you have to check which motherboard revision you have - 1.0, 1.1 or 1.2. Then go to correct page (as the BIOS files are different), download the latest BIOS file, save to FAT32 USB stick (unzip if necessary), then do the update from BIOS itself, not from Windows. How do I check what version motherboard I have sorry? Looking at my physical mobo I can't see anything that would indicate the version? The revision number should be printed somewhere on the board itself, usually in a form "Rev 1.0" or something similar. 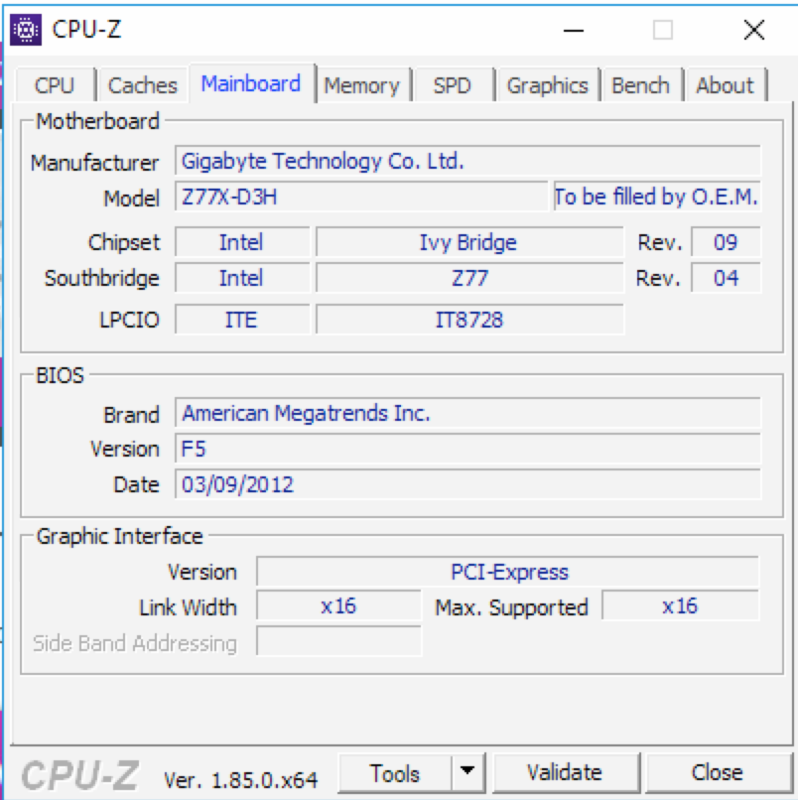 Also it may be listed in CPU-Z, on motherboard tab, in same line as motherboard name. I'm having a hard time spotting it on the mobo itself. What would your best bet be on rev number? Edit: Found it on the mobo. It's Rev 1.0. I would download F16 - the two F18 versions are Beta and I rather distrust them. But anyway all you really need is F14 or better, so F16 or F18 your choice both will do. Panopticon, you sir are a legend! Following this video (https://www.youtube.com/watch?v=ze4Dg11W3hU) I downloaded the Gigabyte App Centre program and it had the F16 BIOS update ready for me, I didn't have to do anything further other than pressing 'Install'. It installed and restarted the PC, now the Code 43 error has gone from the device manager and the ASUS GPU TweakII app opens! Just one more question; should I also update my chipset too? Or would this have been done by my BIOS update? 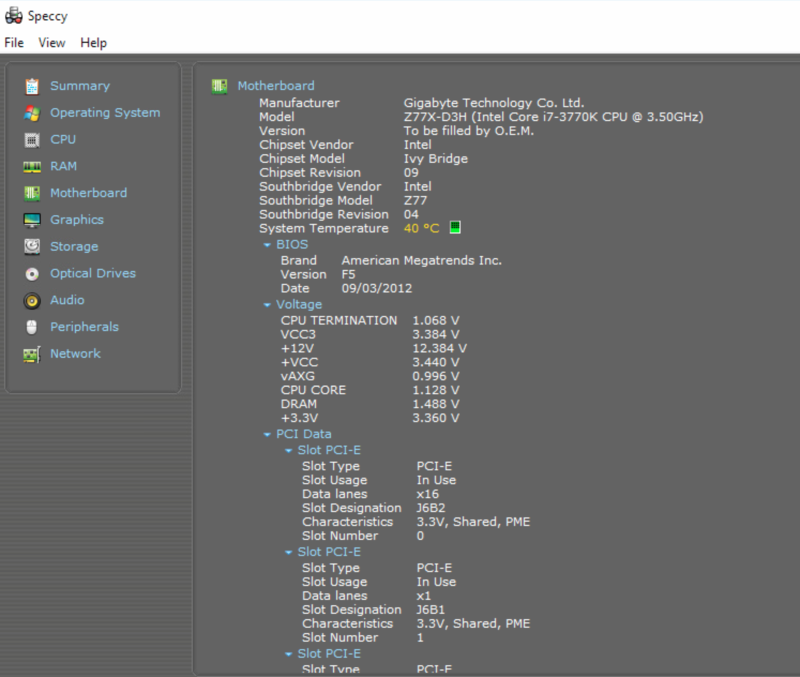 No, chipset drivers are not updated by BIOS update. If you want to update them, just download the files and run them in Windows. Yes, it is recommended to have drivers up to date, although personally I only do that if specific problems appear.